He targets the tsetse fly. Tsetse flies, large biting flies that inhabit much of Africa, feed on the blood of humans and other vertebrates and transmit such parasitic diseases as African trypanosomiasis. In humans, this disease is better known as sleeping sickness. 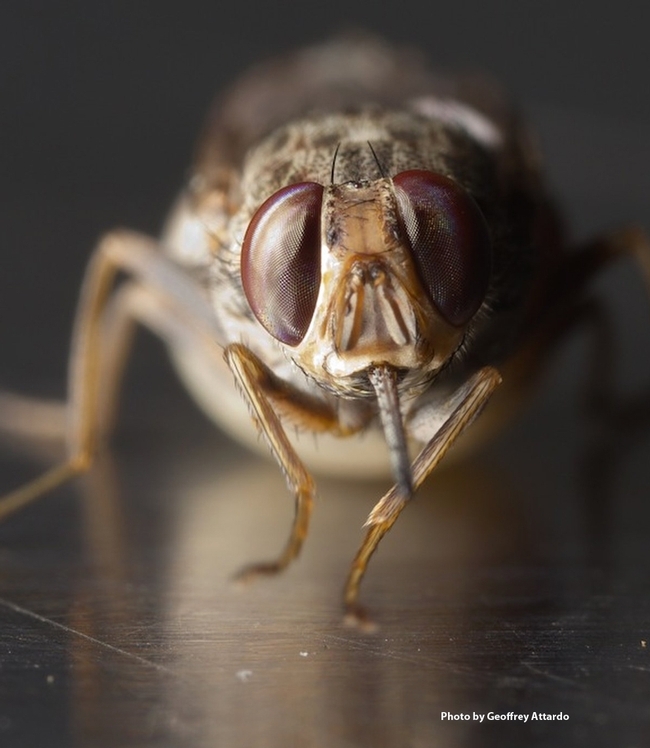 "Tsetse flies are the sole vectors of human and animal trypanosmiasis throughout sub-Saharan Africa," says Geoffrey Attardo, assistant professor, UC Davis Department of Entomology and Nematology. Attardo says that these "flies are distinguished from other Diptera by unique adaptations including male specific reproductive adaptations, lactation and the birthing of live young (obligate viviparity), exclusive blood feeding by to the sexes and visually based host seeking. 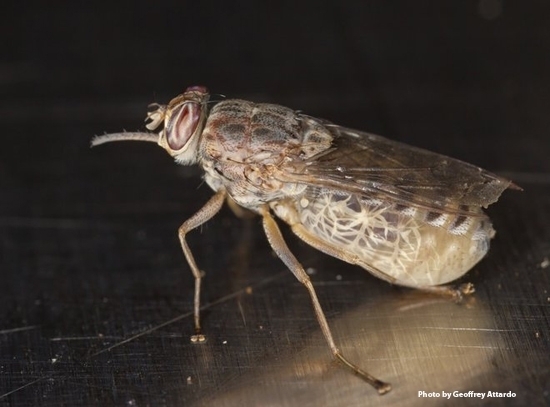 To understand the genetic changes underlying these adaptations, we sequence the genomes of six species of tsetse flies representing three sub-genera. These sub-genera represent different habitats, host preferences and vectorial capacity." In his talk, he will "describe some of our findings from these analyses and how the genetics of these flies compare with relatives such as Drosophila, with an emphasis on the genetic changes underlying tsetse's dramatic reproductive adaptations. In addition, we will discuss observations associated with visual, olfactory, and salivary biology, as well as the identification of features novel to Glossina and their respective sub-genera." His research interests include the physiology and molecular biology of disease vectors, reproduction, nutrition, symbiosis, genetics, metabolomics, gene regulation, vector/parasite interactions “and any place the data leads me!” He is also an accomplished macro photographer. 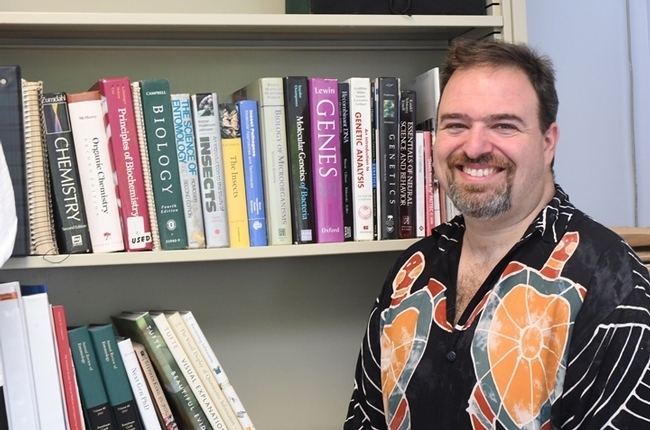 “I got my start in science working as an undergraduate researcher” at the University of Massachusetts in the lab of John Edman, who moved to UC Davis in 1999. There Geoffrey reared and worked with various mosquito species and kissing bugs for four to five years. He also worked on aspects of mosquito ecology, reproduction and nutrition with Edman and Thomas Scott, now both UC Davis emeriti professors of entomology. A native of Poughkeepsie, N.Y., Geoffrey received his bachelor's degree in entomology from the University of Massachusetts, Amherst, in 1994 and his doctorate in genetics from Michigan State University, East Lansing, in 2004.